The CEM xProx 200 range of advanced card readers for use with CEM access control systems has been released. The xProx 200 range is available in both traditional 125 kHz Proximity and 13.56 MHz MiFare (ISO14443A) smart card options. 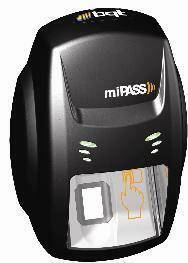 As well as supporting Mifare smart cards, the range offers advanced features such as a backlit LCD, a keypad for added PIN security and an internal database that allows the reader to make access control decisions even when offline. The xProx 200 range is available in a variety of reader options. For more information, visit www.cemsys.com.